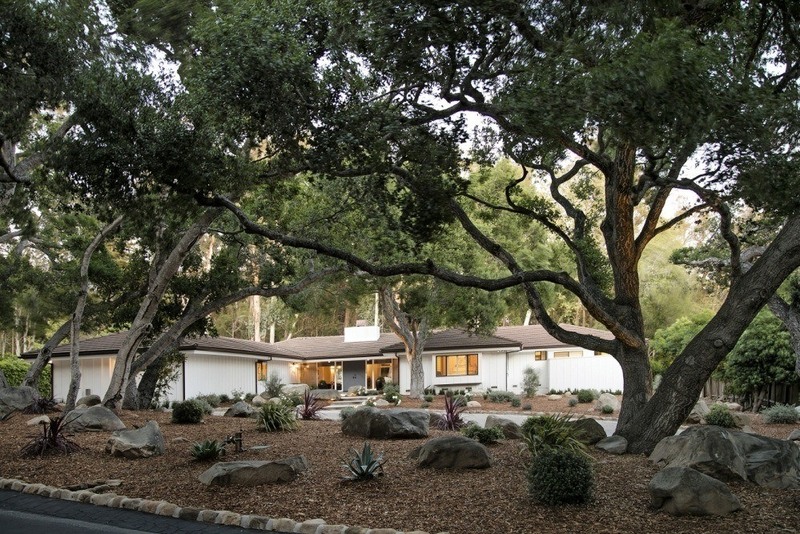 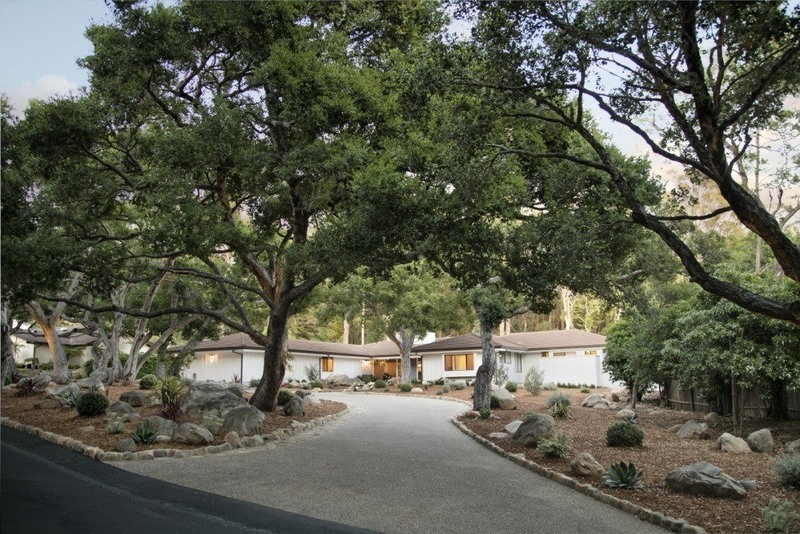 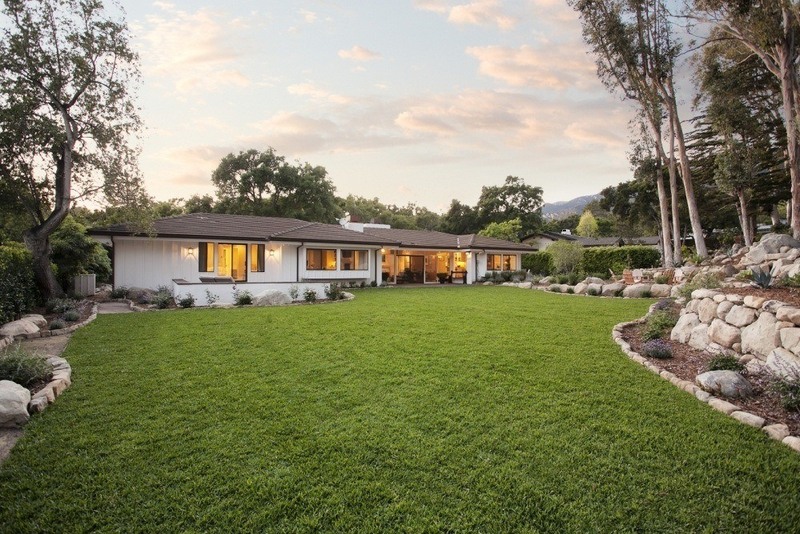 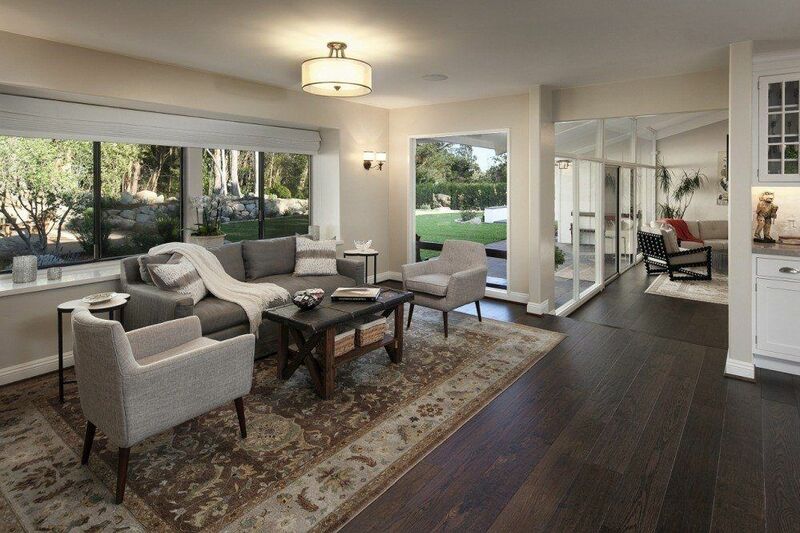 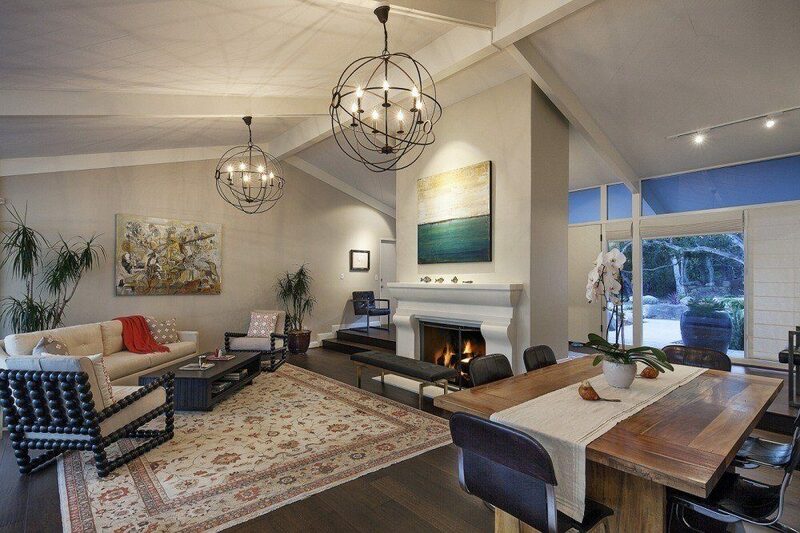 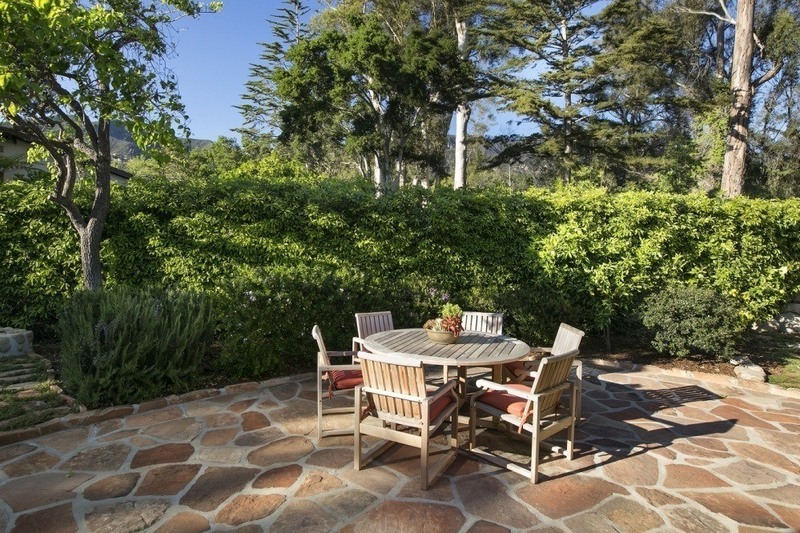 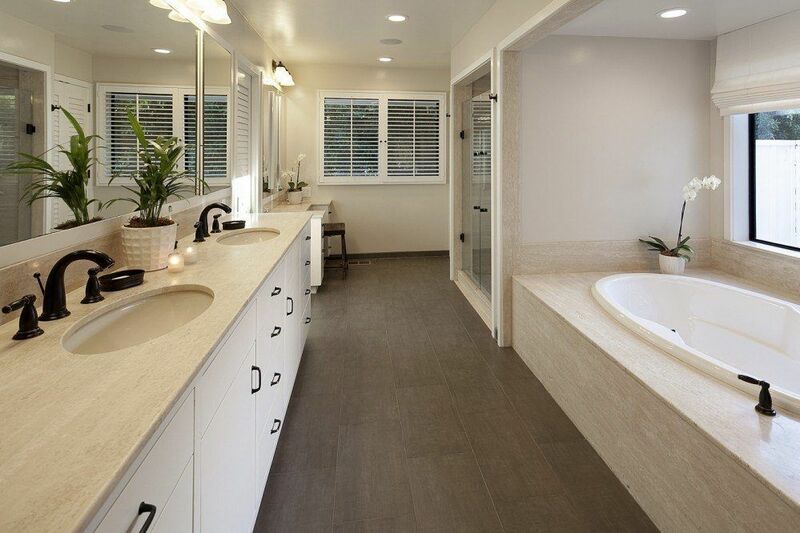 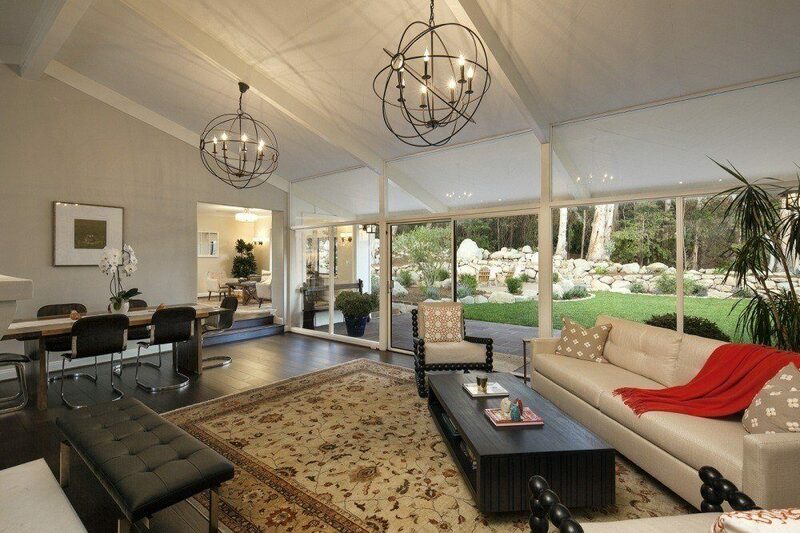 Up a picturesque private lane in a premier Montecito location, is a stunning single-level Contemporary Ranch home. 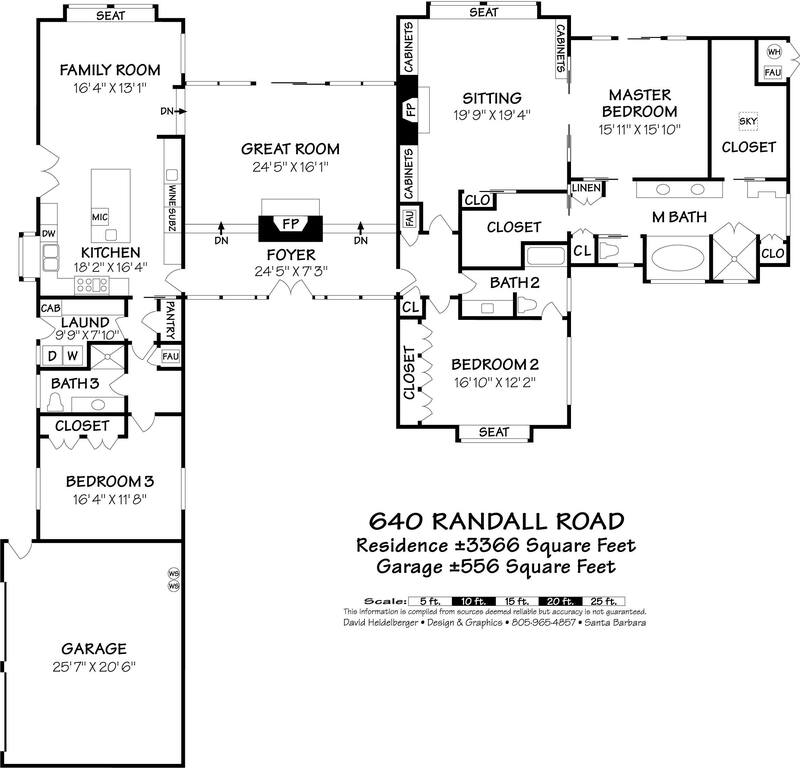 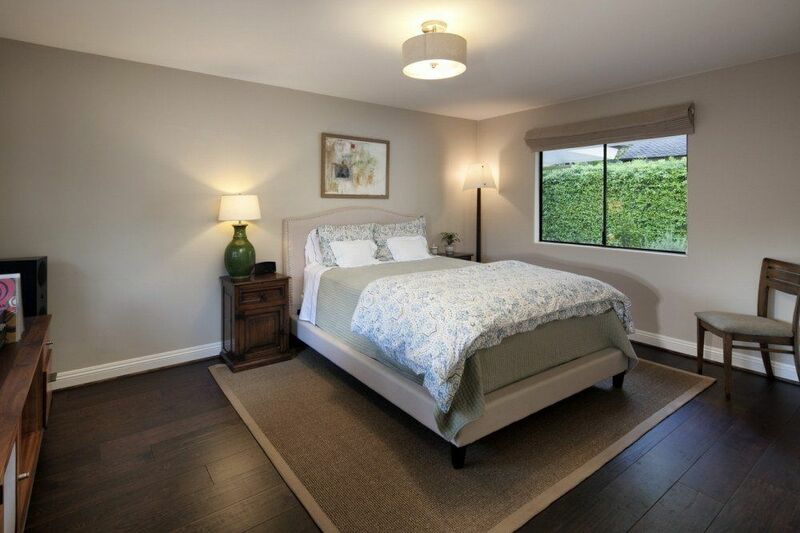 Recently remodeled to feature natural light-filled spaces, the home offers 3 bedrooms, 3 baths, fabulous new gourmet kitchen, vaulted ceiling great room, and lavish master bedroom suite with its own sitting room, spacious limestone bathroom, and 2 walk-in closets. 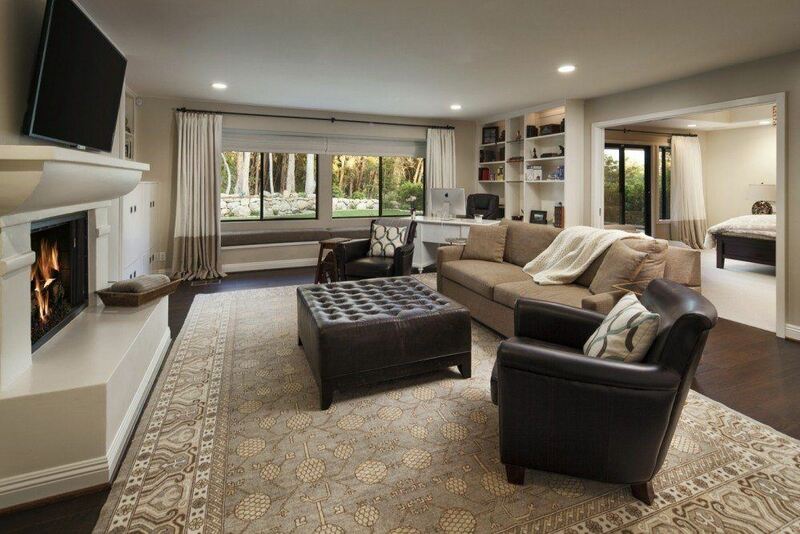 Additional amenities include walls of glass windows and doors, wide-plank oak floors, 2 fireplaces, top of the line appliances, built-in cabinets, and oak studded approach. 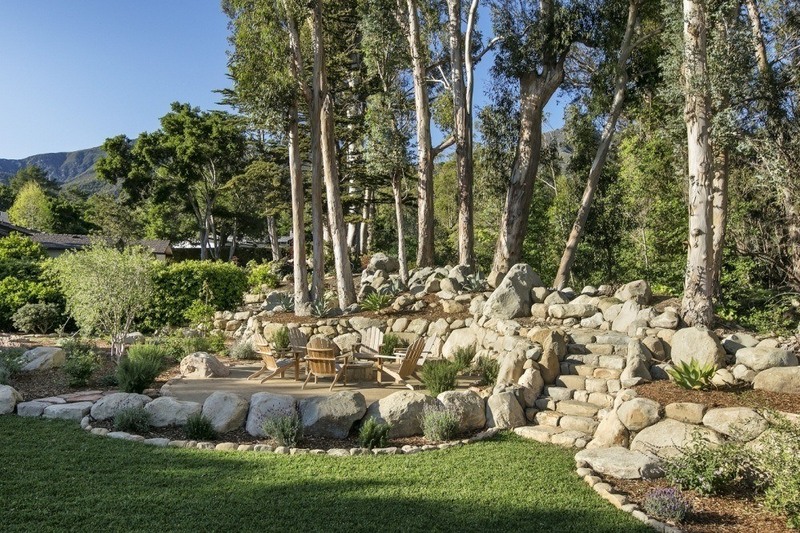 Bordered by a seasonal creek, the magical one-acre grounds enjoy mature oaks, views of the mountains, wonderful flagstone patios, fruit trees, boulders, vegetable gardens, built-in gas fire pit, and sprawling lawns. 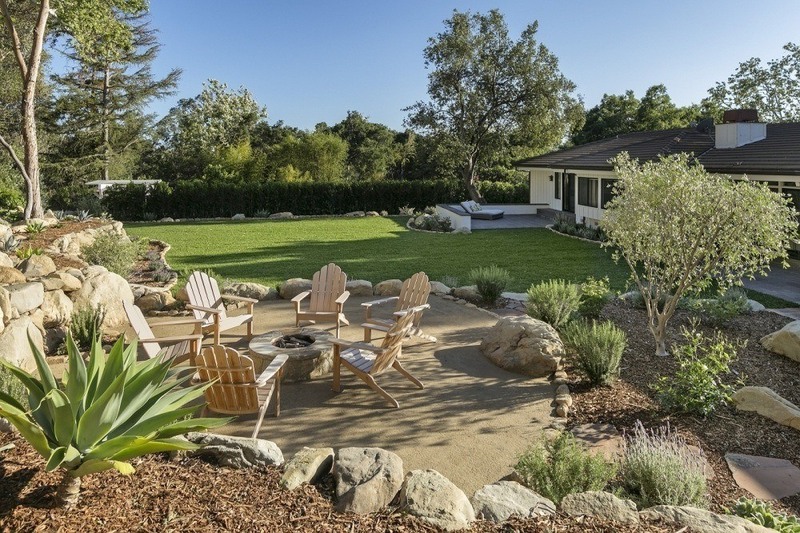 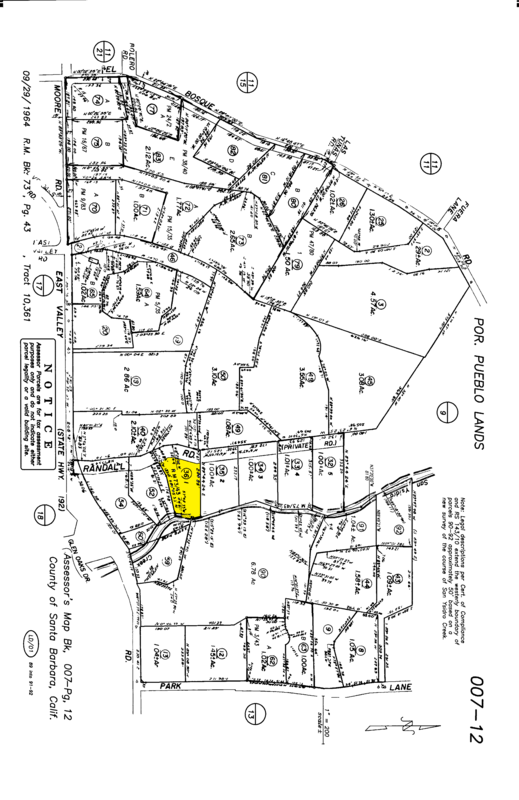 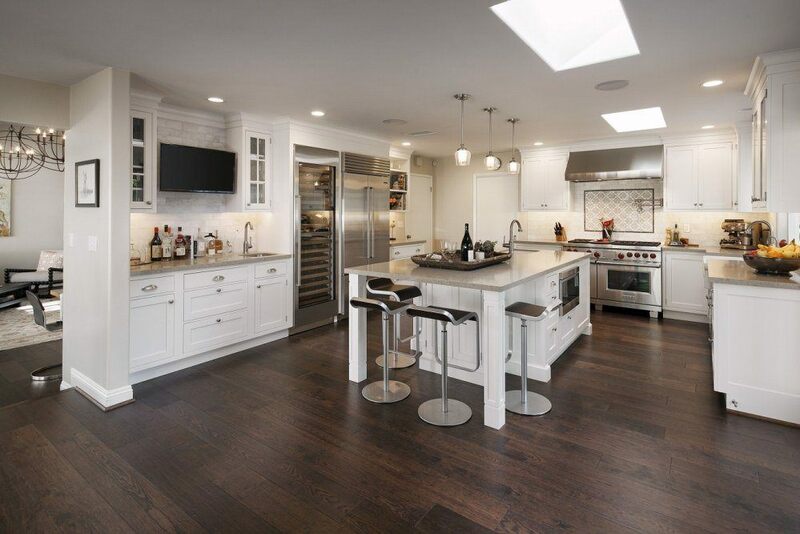 Situated within the highly rated Montecito Union School District, here you will enjoy the easy Montecito lifestyle in a peaceful setting convenient to Montecito’s chic upper village.